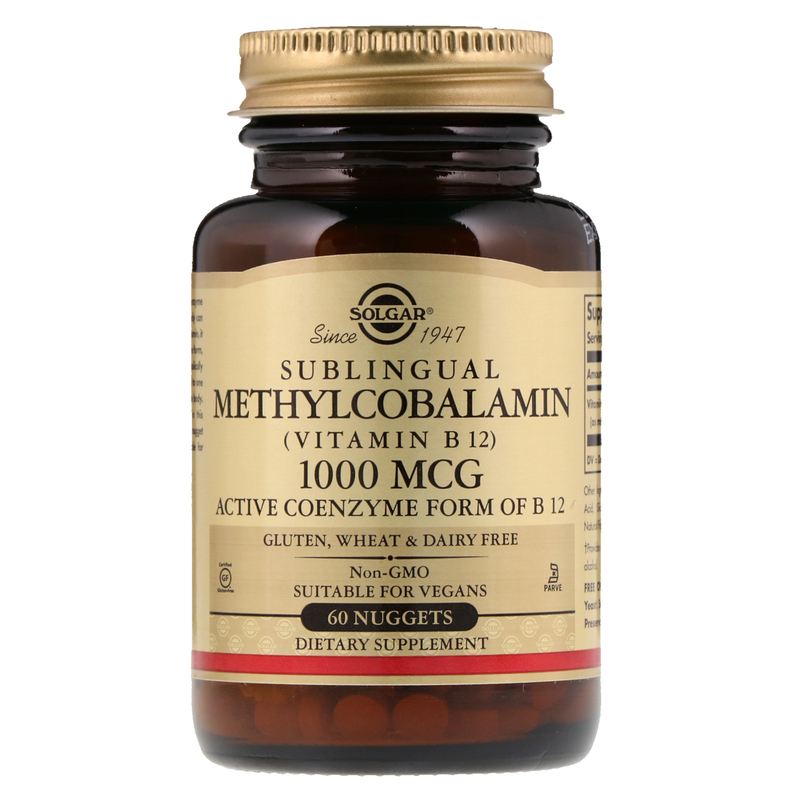 Methylcobalamin is the active, coenzyme from of Vitamin B12. While the body can readily absorb Vitamin B12 as cobalamin, it must further convert it to a coenzyme form, methylcobalamin, to become metabolically active. In this form, it is bioidentical to the predominant and active form found in the body. 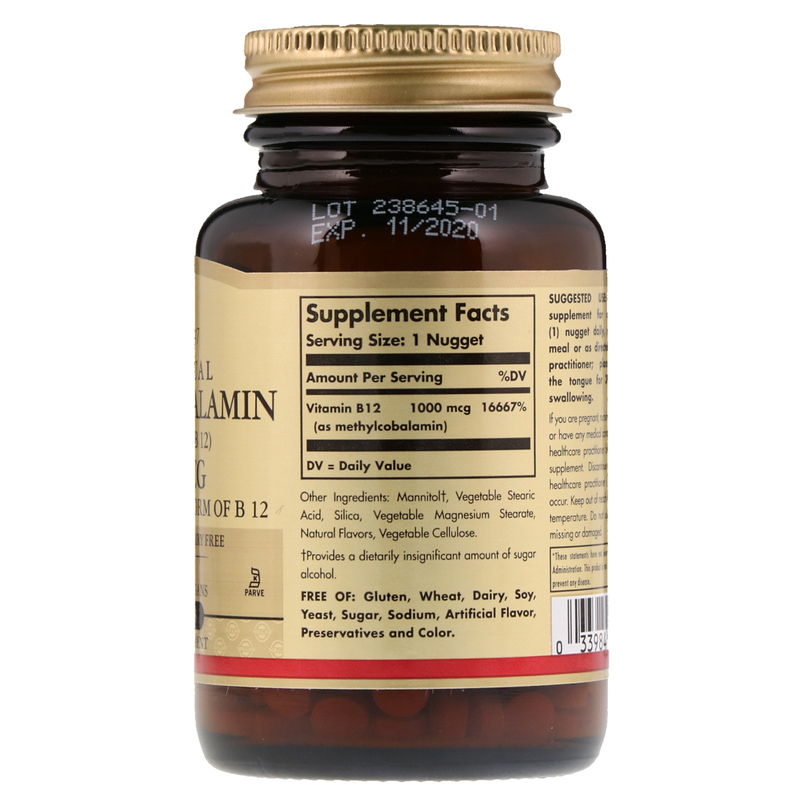 The "body-ready" Vitamin B12 in this formula is offered in a convenient nugget dosage from which is also suitable for vegan. As a dietary supplement for adults, take one (1) nugget daily, preferably with a meal or as directed by a healthcare practitioner; place nugget under the tongue for 30 seconds before swallowing. Mannitol†, silica, vegetable stearic acid, vegetable magnesium stearate, vegetable cellulose, natural cherry flavor. Free of: Gluten, wheat, dairy, soy, yeast, sugar, sodium, artificial flavor, preservatives and colors. If you are pregnant, nursing, taking any medication or have a medical condition, please consult your healthcare practitioner before taking any dietary supplement. Keep out of reach of children. Store in a cool, dry place. Do not use if outer bottle seal is missing, torn or damaged in any-way.